If Sweden’s Dag Rosenqvist has often found himself on murky grounds, his horizon has gone considerably darker since his last Jasper TX release two years ago. The title of this new album, his second for Fang Bomb, is as bleak and sobering as the cover it so faintly adorns, and, crucially, as the music it carries. Divided in five sections, this album sees Rosenqvist experiment with increasingly complex and layered compositions. His soundscapes are particularly refined and intricate here, although their overall structure varies considerably, from extremely detailed and quiet moments to beautiful pastoral sequences and heavily processed noise drones, often over the course of a single track. The album opens with speckles of undefined sound which are so discreet that they barely break the silence, but rapidly, a single blow of electric guitar tears through to reveal a bleak terrain where field recordings are slowly sucked into an oppressive sonic black hole. There is nothing particularly corrosive in this slow decaying process, but the weak flickers of Morse code and cold abrasive radio statics which close Signals Through Wood And Dust instill a sense of discomfort which is carried through the rest of the record. Statics also infiltrate the early part of Weight Of Days, but it rapidly becomes overwhelmed by a recurring melody, served by Aaron Martin on cello. The swelling melancholy which results takes this record in a very different direction, its course barely disrupted by layers of distortions eating it up for a moment just over the half way mark. All I Could Ever Be opens on a similarly pastoral tone, although here, Rosenqvist initially builds up his piece from delicate folk textures, which he slowly replaces with echoing phrases of soft bell-like sounds. As the piece progresses, these are progressively caught in a cloud of distortion which eventually swallows every remaining sound in its path, leaving a monumental toxic drone where more delicate formations previously stood. However ambitious the piece is, this is nothing compared to the epic twenty-one minute odyssey of Shores. An extremely contrasted composition, which alternates between moments of exquisite calm and much harsher and unsettling passages, this is undoubtedly one of Rosenqvist’s most ambitious compositions to date, and one where the degree of control is quite simply astonishing. Once again, he weaves a rather tight sonic canvas, applying field recordings and electronic textures with great care and nuance, then purposely distressing it all in the latter part with grueling slabs of distortions, feedback and noise, leaving nothing but remaining fragments in their path. Despite being partly built on distorted radio interferences and processed noises, closing piece White Birds is much more subdued, as it slowly progresses through decaying soundscapes to a beautiful piano melody, over which is soon added layers of trombone, amidst a rising tide of process field recordings, which eventually retire to leave the piano to conclude. 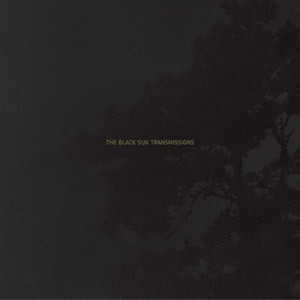 Dag Rosenqvist hasn’t totally changed his way on here, but The Black Sun Transmissions denote a shift toward much more sombre and decaying tones. To realise this, he has considerably refined his soundscapes and approach to allow for his new found ambition.